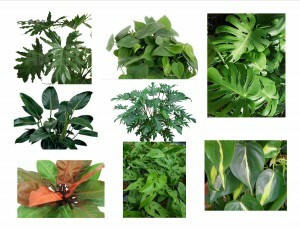 The Philodendron genus consists of a vast number of highly diverse species with unique leaf shapes, sizes and colours. The Selloum has huge lobular leaves. The Swiss Cheese has holes in the mature leaves. Prince of Orange and Congo have intensely coloured foliage. Philodendron ‘Brasil’ are green with a prominent yellow center. Interestingly, the leaves on the Philodendron can vary dramatically on a single plant. The new young leaves are often a different colour and shape than the mature leaves. One of most striking plants often called a Philodendron is the Split-Leaf. This plant is actually a member of a related genus of plant called Monstera. Most of the common varieties make great plants for homes and offices. 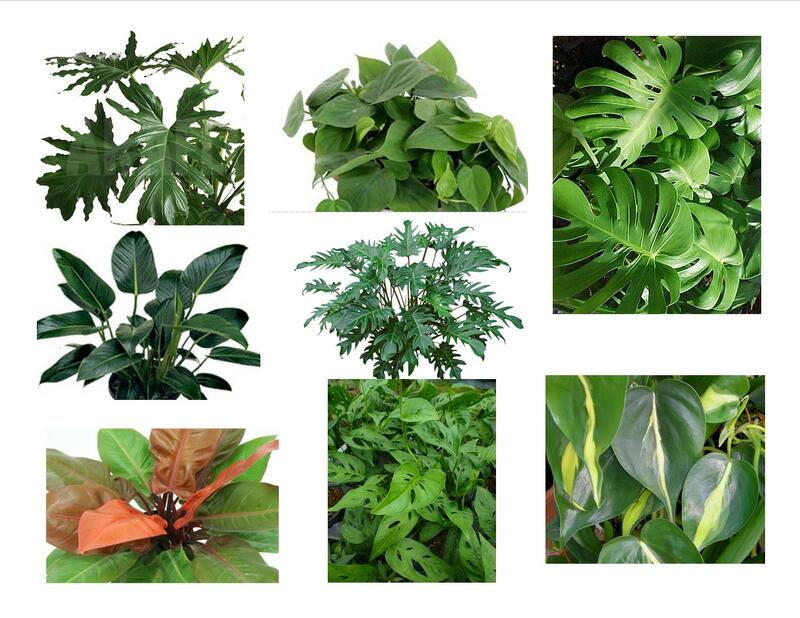 Most varieties of Philodendron can survive in low to medium light. The larger leaf species require more light. The soil should contain a high percentage of organic matter and be well-drained. The plants prefer to dry out thoroughly before being watered. Check the soil for moisture with your finger. If you can feel any moisture 2-3 inches below the surface of the soil, do not water. Philodendrons are resistant to most common pests. Stressed plants may get scale insect or mealy bug. The long aerial roots can be removed without risk to the plant. Prune the plants regularly to encourage new growth. Cuttings can be rooted in water or soil. Fertilize regularly with a high quality fertilizer for indoor tropical plants.